Business interruption, is the temporary cessation of business operations on either a partial or complete basis, as the result of a specific and sometimes catastrophic event. In terms of insurance coverage, the loss event is the result of a covered peril, i.e., fire, hurricane, or tornado. 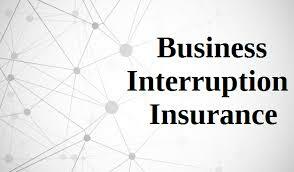 Falling under business interruption coverage often are separate components, such as the insured’s business income loss as well as coverage for extra expenses incurred to mitigate the loss. The business income loss, which at times is used interchangeably with business interruption, is the portion of the coverage that indemnifies the insured for the loss business income which the insured would have earned but for the loss. The term “but for the loss” is an important concept to consider for a moment, as it is often misunderstood and becomes a point of contention. The insurance contract between the insured and the insurer is designed to make the insured whole, and to not unduly enrich the insured through an insurance recovery. Often, an insured operates under a faulty assumption that the insurer will pay them for the lost profits during the period of interruption, less any actual profit or loss, the difference being the recoverable loss. This is incorrect as the coverage is for actual loss sustained; accordingly, deductions must be taken for certain expenses that were not incurred during the loss period. The concept of discontinued expenses is sometimes an area that is difficult for some to grasp. The forensic accountant should examine the insured’s profit and loss (P&L) statement for a period of time ending prior to the date of loss. The closer the period end date of the P&L statement is to the date of the loss, the more timely the information will be and a better metric to help in the determination of the loss. The fixed or variable expenses are analyzed, and the variable expenses (those that vary directly with sales), are segregated from fixed expenses to determine the discontinued expenses. These expenses are typically expressed as a percentage of sales, although in some instances, averages are also used. The variable expenses attributed to the lost sales during the loss period become the basis for the discontinued expenses that are deducted to calculate the business income loss, cost of sales being one of the best examples of such an expense. In some situations, the line between a fixed or variable expense is not straightforward, as these expenses have both fixed and variable components. These semi-variable expenses, depending on their materiality to the insured’s operations as well as the claim, often require additional analysis. An insured’s payroll is an example of one such item that requires further scrutiny, specifically to determine the divide between hourly and salaried employees. Another point of contention can be the issue of indemnity period versus loss period. Specifically, if there is a difference between the length of time taken or should have been taken to repair the damaged property to pre-loss condition, or the condition of the property, but for the loss. Careful consideration should be taken in regard to any potential improvements and betterments to the damaged location during the restoration period. In this instance, if the length of time to complete the repairs exceeds the period of time it should have taken, either because of the improvements or because the insured has not taken measures to mitigate the loss, the indemnity period would be shorter than the actual loss period, and the insured’s recovery would be based on the shorter period. In regard to the measurement of the insured’s actual loss sustained, the forensic accountant should be cognizant of the insured’s ability to mitigate their loss either during the loss period or shortly thereafter. Specifically, the insured may be able to mitigate the lost sales either through a resumption of partial operations at the damaged location or temporary location. The insured may also shift production to an undamaged portion of a manufacturing facility, add additional shifts, or temporarily outsource production to a competitor. The insured may be able to make up a portion its lost sales for the rescheduling of appointments, in the case of a professional service provider. Often, an insured has additional coverage for the reimbursement of certain expenses that are incurred as a direct result of the loss. Common examples of such an expense are the additional rent incurred to shift production or sales to a temporary location and the rental of equipment, such as portable generators, to continue partial operations at the insured’s affected location. The extra-expense coverage reimburses the insured for the expenses incurred during the loss period which exceed normal operating costs. Consideration should be given to the extent and type of expenses for which the insured is reimbursed. A determination must be made to ensure that the expenses are actually “extra” and are not ordinary to everyday operations of the business. An example of this would be the differential between employee overtime that exceeds normal pre-loss overtime, or the payroll of salaried employees incorrectly included in extra expenses. To quantify a business income loss, an analysis of pre- and post-loss revenue, costs and operating expenses is required. A forensic accountant will provide an adjuster, policyholder, or legal counsel with his/her knowledge and experience in matters, including, but not limited to: technical aspects of accounting rules and procedures and other related data, familiarity with policy terms and conditions, and establishment of accounting and document control procedures to ensure inclusion of all relevant data into the claim calculation.